Alejandro Pacheco Mena began his violin studies in 2006 at the Municipal School of the City of El Alto becoming a part of the Municipal Orchestra of this city the same year. Alejandro performed in different ensembles and chamber music projects and has been a part of various orchestras such as the UMSA Choir and Orchestra, Sinfonietta Loyola and the National Symphony Orchestra of Bolivia among others. In 2009, Alejandro began studying under the guidance of Armando Vera Woudstra and belonged to the youth chamber orchestra founded and directed by Vera himself. Alejandro has taught beginning and advanced violin at the Municipal School of El Alto and viola at ClaveSol, a musical social project led by Banco Sol, in the cities of La Paz and El Alto. 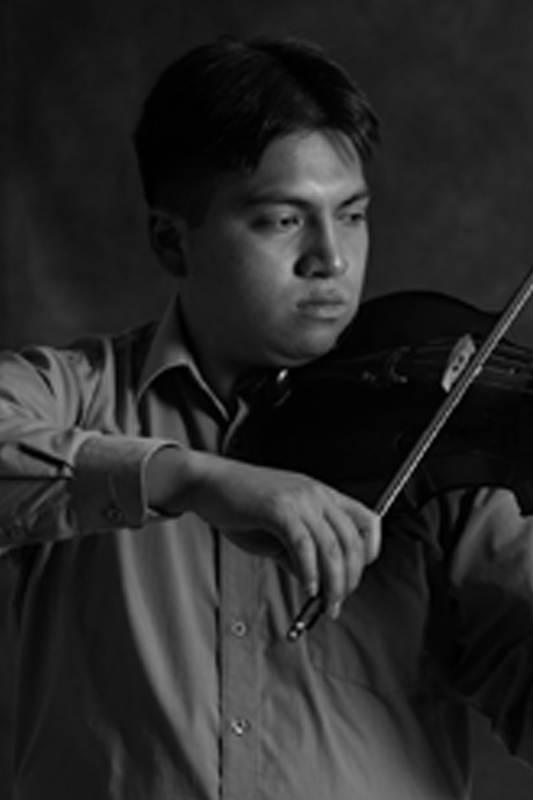 Alejandro has been a part of the Bolivia Clasica project since its inception as a violinist and violist.